The Citizens Theatre presents Eric the Elf’s Chaotic Christmas, a Christmas show for little ones in the theatre’s Circle Studio from Thursday 11 – Wednesday 31 December. 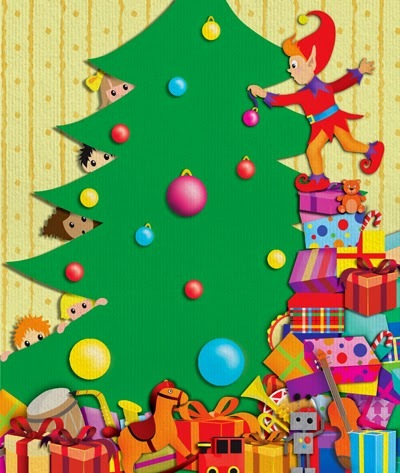 Written specially for 3 – 6 year olds, Eric the Elf’s Chaotic Christmas is devised, composed and directed by Andy McGregor. Eric the Elf’s Chaotic Christmas is a fun-filled, interactive, inspiring musical adventure featuring lots of laughs and songs to sing along with and is an ideal introduction to the magic of theatre. Created especially for a younger audience, Eric the Elf’s Chaotic Christmas is about a wee elf on a big mission to save Christmas. It’s Eric first year in Santa’s grotto and he is very excited. He was busy creating toys for children all around the world when disaster struck! He’s been left all on his lonesome with a huge list of presents to make. The future of Christmas rests on his rather small shoulders. Luckily for him boys and girls from Glasgow and beyond have arrived to help him meet Santa’s Christmas deadline. Citizens Theatre welcomes back Andy McGregor whose score for last year’s Christmas Show for young audiences Bauble Trouble delighted children and their families. This year, as well as creating a host of brand new songs to join in with, Andy has created a show filled with festive joy and wonder. Santa’s workshop is transported to Glasgow in Neil Haynes’ set design. Haynes also worked on last year’s Bauble trouble creating a cosy winter home in the intimate Circle Studio. Harry Ward plays the lead role of Eric the Elf. Eric the Elf’s Chaotic Christmas is presented alongside A Christmas Carol, a festive show for families aged 6+ on the main stage. Join the world’s most notorious miser Ebenezer Scrooge on his remarkable journey to discover the true spirit of Christmas in a bold, theatrical adaptation filled with classic Christmas carols to capture the original heart of Charles Dickens’ beloved tale.